This vehicle has been sold for scrap to Trevor Wigley, Carlton. 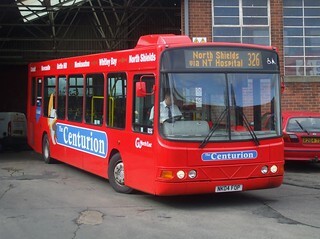 This vehicle has received "The Centurion" branding, with sub-branding for services 75/76 and 85/86. 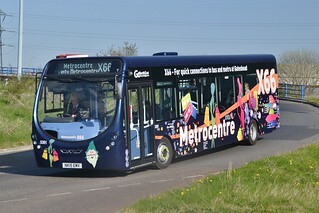 This brand was first introduced to Percy Main services 305, 315/316 and 325/326 using Dennis Dart MPD, Dennis Dart SPD and Dennis Lance SLF/Wright Pathfinders in standard livery with logos applied, but a re-launch of the brand coincides with service changes effective 30th March 2008. 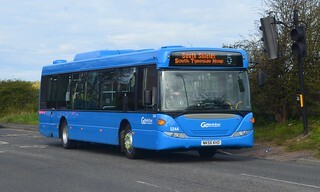 As part of these changes, which coincides with a large cash investment into new buses, service 305 (Newcastle - Hadrian Park - Wallsend) will be replaced by "Citylink" service 58 operating with brand new Mercedes Citaros and "Wallsend Links" service 40, while services 315/316 will be re-numbered 75/76 and likewise 325/526 re-numbered 85/86. Ahead of upcoming service changes, this vehicle has transferred from Deptford Depot to Percy Main. 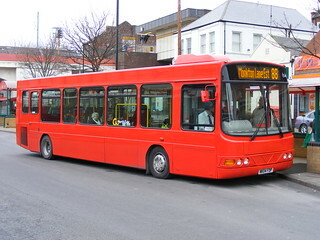 Prior to new branding being launched, this vehicle has been repainted into a plain red base livery. With the operation of "Whey Aye Five 0" service 50 transferring to Washington Depot as part of service changes effective Sunday 17th April 2016, this vehicle has transferred from Percy Main Depot to Washington. This vehicle was originally VOR for annual PSV test, so was unable to transfer in time for the service changes. 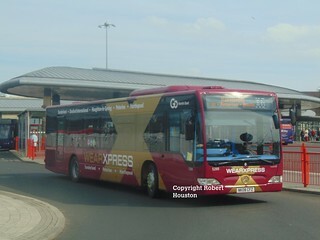 This vehicle has returned to service at Deptford Depot, where it will be allocated to "Wear Xpress" service X5 (Sunderland - Hartlepool). 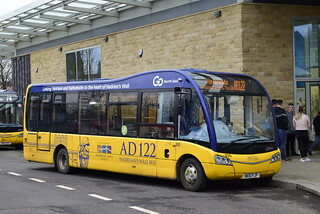 This vehicle has been reinstated at Hexham Depot, to operate the seasonal Hadrian's Wall Country Bus AD122 service.